← Our students with disabilities did not make AYP (Annual Yearly Progress). I’ve read just a bit about your early life in Seattle – not enough to know how you dealt with economic downturns in those years, but enough to guess that, as one whose father was a lawyer and whose mother was on the board of a bank, it’s possible that you have not had to weather the full impact of recessions in the same way that my students have in Salem, Oregon. The issues I have with you involve your views on testing, teaching, and the effects that large class sizes have on the education and well-being of children. Truly, it is an amazing phenomenon to see the effects of a recession. What starts as someone you know losing a job and on statistics being reported in the news translates into ripple effects throughout society that impact our most vulnerable, our children, the greatest. more parents are out of work. This puts more pressure on families, and sometimes results in separation or divorce. More children have instability at home, regarding housing, food, emotional support, or all three. More children are at risk for abuse or neglect. More children are at risk for being homeless. More children are at risk for having their parents engage in substance abuse or domestic violence. More children have their education impacted in a negative way, because of factors outside of school. At the same time, schools have fewer resources to deal with the above problems. Counseling positions are cut, at a time when more students need this support at school. Student/teacher ratios increase, at a time when more students needs individual attention. Turnover in staff at schools increases, at a time when students need more stability. Special education programs can’t expand quickly enough to meet the demands of kids with greater needs. In every case, in every way, children are the losers, because they are the most vulnerable. The picture would be the American Flag flown upside-down, a signal of distress. It would be a child crying in the hall, because he doesn’t know if he will eat that night, or where he will sleep. 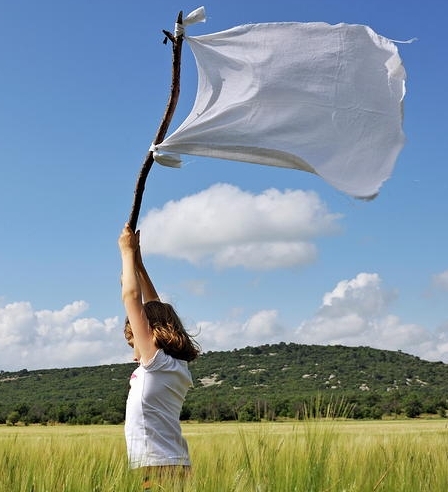 Too many children are waving white flags right now. Powerful words, Bill. Please heed them. We are running for the following Renton Education Association positions because we believe in the following planks: Becca Ritchie, Candidate for REA President, Nelsen Middle School, Computer Tech Susan DuFresne, Candidate for Primary Executive Board, Maplewood Heights Elementary, Integrated Kindergarten ✅ Demanding a healthy work-load/life balance. ✅ Bargaining competitive professional compensation. ✅ Challenging the status quo test culture with: Less is more! ✅ Emphasizing our professional expertise. ✅ Prioritizing equity and access for all. ✅ Utilizing 2-way 21st century communication tools. ✅ Acting in solidarity with all unions. ✅ Supporting ALL members. ✅ Implementing developmentally appropriate K-3 curriculum/assessment. This entry was posted in Bill Gates, Edreform, Poverty, Recession, War on Youth and tagged American Education, Bill Gates, Billionaires, Corporate Education Reform, Diane Ravitch, education, High Stakes Testing, Poverty, Public Schools, testing, The Bill and Melinda Gates Foundation, The Death and Life of the Great American School System, War on Youth. Bookmark the permalink.